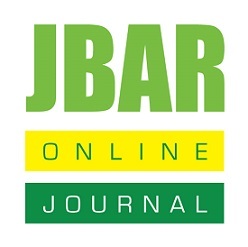 JBAR journal aims to challenge and change the world by publishing most innovative researches in different field of agricultural and biological science. This journal committed to ensure high quality peer review and open access articles to drive integration and interactions among disciplines of bioscience. JBAR will systematically transfer advanced research knowledge to increase researcher and public understanding, social developments, sharing and contribute in field level implementation. This journal aims to provide a rapid and quick online platform for reviewing and publishing, and to disseminate articles freely for research, education, teaching and reference purposes. 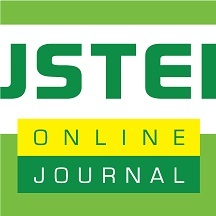 JSTEI is a peer review and open access international multidisciplinary journal that publishes original articles, review articles, case or survey reports, short communications and technical notes. All published articles of JSTEI are freely available for greater audience readership and understanding of the society. This journal provides an integrated online platform of publication for scientific works, communication of new innovations and emerging research topics of science, engineering, technology, bio-systems, earth science, ecology, scarcity of resources, environmental degradation, water pollution, climate change and associated environmental bioinformatics. 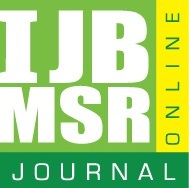 IJBMSR is an open access and peer review interdisciplinary journal that aims to provide intellectual platform of publication for exchange of knowledge, insights and ideas about the theory and practice of business, management and social science. 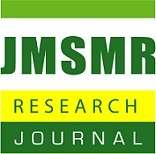 IJMBSR targets to publish articles on action based research that describe and diagnose issues of business; and conceptual based research where researcher identify an issue and seek for purpose oriented solutions. This journal core objective is to promote interdisciplinary research in business thinking, management options and social interactions; and aim to become the leading publisher for business and social science in the world. JMSMR aims to provide high quality, comprehensive and broad coverage article in areas of molecular studies, microbiology, biochemistry, biotechnology, medical and medicine research. The journal publishes scientific articles, method notes, perspectives and reviews which provide functional and pragmatic insights and demonstrate significant advances. JMSMR provides quick initial decisions followed by a high quality editing service and efficient publishing including global indexing of articles. The journal encourages submission of multidisciplinary research that use experimental and computational approaches to address the challenging biological questions and innovations. AJCSP aims to provide high quality, comprehensive and broad coverage in all areas of soil science, plant nutrition and farming research. The journal publishes original scientific research articles on soil-plant interactions, their perspectives, soil management, crop nutrition and related reviews which provide functional, dependable and pragmatic insights and demonstrate significant advances to these fields. AJCSP provides quick initial decisions followed by a high quality editing service and efficient publishing including global indexing of articles. The journal encourages submission of farming system and management research that use experimental and computational approaches to address the challenging agricultural questions and agronomic innovations. JFLVS is a open access and scholarly peer review journal. It aims to provide high quality, comprehensive and broad coverage in all areas of fisheries, livestock and veterinary research. The journal publishes original scientific research articles, theoretical and practical papers, perspectives and reviews which provide functional, dependable and pragmatic insights and demonstrate significant advances to the fields. JFLVS journal provides an opportunity to share the information among the fisheries scientist, livestock manager, veterinary doctors and animal husbandry practitioner. This scholarly open access journal is publishing reliable source of information on the discoveries and developments; and making articles freely available through online without any restrictions to readers worldwide.